According to the U.S. Census Bureau, rental vacancies are hovering at some of the lowest rates in history. Despite this, landlords and property managers cannot let finding the right tenants fall to chance. Profitable investment properties can quickly turn into a liability if there is no rental income coming in the door. So how can you generate interest among prospective Honolulu renters, secure trustworthy tenants, and quickly fill vacancies? Tenant turnover can be one of the biggest expenses you face as a landlord, but you can take advantage of this downtime to get all of your ducks in a row. Confirm that the property and unit information you have is correct before you start to market it, and use the opportunity to update your property photos. Make any necessary repairs or upgrades, and clean the unit top to bottom so it is move-in ready. That way eager renters won’t have to wait for repairs before they move in. Get all of your other tenant records and paperwork out of the way and create a vacancy checklist for yourself. By organizing your to-do list, you’ll be able to focus your full attention on filling those vacancies. In most situations, property managers will have at least 30 days’ notice that their current tenants are moving out. As soon as your renters provide notice, it’s time to start marketing the property and generating interest among prospective new tenants. Consider the features and amenities that make your property stand out in the Honolulu rental market, and focus on those as you begin your marketing efforts. Does your property cater to pet owners? Is it close to public transportation or a city center? Does it have any unique features, particularly any that are uncommon for properties in that price range (think square footage, extra bathrooms, outdoor space)? Try to come up with a description of the ideal renter for your specific property, and build marketing efforts around this character. You’ll save time and money by focusing on a specific target market, rather than advertising to an entire population of renters. Online applications will make filling rental vacancies easier on both you and your potential tenants. If you don’t already offer an online application process, consider making the switch from manually inputting application data or storing physical paperwork in your office. Online applications are quick and easy to fill out, as well as convenient for you to review and keep organized. Plus, when reading about the property online and browsing pictures, potential Honolulu renters should be able to apply right then and there when it’s top of mind. In some cases, online applications also allow you to pre-screen a tenant before you schedule a showing. If they don’t meet your basic renter criteria, no need to waste your time scheduling a showing. Ask your current pool of renters — or even the tenants who are moving out — if they know anyone looking for a new home. Offer incentives like gift cards or discounts for referrals. Tap into your personal network, as well. Let your friends, family, and other connections know that you own or manage rental properties. Just be cautious to always screen all rental applicants, even if you know them personally or they were referred by someone you know. Efficiently conducted property showings will save both you and your potential renters time and effort. Start the process correctly by showcasing realistic, but high-quality, photos of the property in your marketing efforts and writing an accurately descriptive listing. This will give potential renters the best idea of what they can expect from a property, qualifying them before they schedule a showing with you. Be sure to schedule several showings for one day. This strategy will be the least inconvenient for your current tenant and the most convenient for you in terms of saving time. Vacancies can be scary, but unfortunately they are a part of every landlord or property manager’s experience. When you fill a rental vacancy and are well into the leasing process, take the time to go back to step one and reorganize. Think about what worked well to fill this vacancy, and what you would change next time around. Did you keep up with your to-do list? Did certain marketing channels produce more leads than others? Were the tenants you ended up with in line with the demographic you were marketing to? Keep detailed notes and begin setting up a process for your next rental vacancy. With a little planning and a lot of organization, you’ll begin to create a truly effective process. 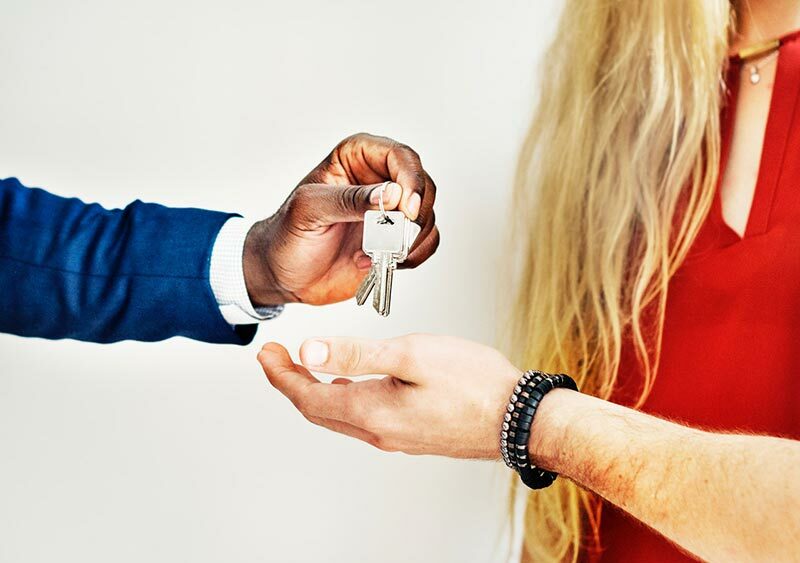 If you ever find that the vacancy stage is lasting a little longer than usual, don’t forget the value and long-term benefits of taking the time to find a quality tenant. If you skip steps in your usual tenant screening process in favor of filling vacancies quickly, you could end up losing more time and money in the long run. Questions? Contact Dara Keo Today! Click the button below and we will follow up with you asap!